You have just changed your job/got a transfer and you have to move into a new location. The biggest problem for you is packaging your belongings without damaging them and making sure that they are handled rightly by the movers. You can always hire the services of professional movers and packers; they are also good at packaging as they have received professional training for the same, besides being experienced in it. However, if you are too touchy and possessive about your belongings, you can pack them yourself too but you’ll have to handle things like crockery, glassware, etc. very carefully. One wrong move and you can end up damaging them. I am sure you wouldn’t want such a scenario. Here we will guide you to a few ways of how you can pack your belongings in a safe yet professional way. Of course, you won’t get the professional touch but at least they’ll be safe and secure. First of all get as many boxes as you can of all sizes. These boxes are where you’ll keep your belongings in so make sure you get good and sturdy boxes. At the Box, Abu Dhabi, we provide with boxes of all sizes. Contact us for your requirements. Once you have got the boxes, start packing. Keep your crockery and glassware in long and flat boxes and be careful of not stacking them too much in one box. Too much of stacking can cause these things to fall down within the boxes and cause them damage. Once you have packed a box, use thick brown or white tape on the boxes to protect the box from opening or your belongings to fall out. Keep the boxes packed with your glassware and crockery separate and at ground level. Keeping them on height or any other boxes on top of it, may end up causing damage to them. So it’s better to keep them away and separately. Pack your clothes and other clothing’s separately as well. Try and keep bubble wrap on top of your clothes and around them so that moisture and harsh heat stays away from your clothes and prevents them from further damage. Pack your books according to their weight and size. Don’t over pack them in boxes because if the boxes become too heavy, they can get damaged and you’ll have to re-pack them all over again. Follow some of these tips and you’ll do well. Ideally, you should get professional movers for packing your belongings because they are much more professional and adept at packing your belongings then you are! Abu Dhabi is one of the fast growing regions in the Middle East. Its close proximity to Asia, Africa and the Mediterranean Sea makes it a central hub for many merchants, traders and companies to set up their regional offices in the region. More than the property rates, it’s the problem of space constraints which really bothers these offices. Though many offices manage to keep up and maintain their places with ease, the main problem is actually of storing documents which can really give the best of managers a headache. Despite technology taking us to a level where recording and maintaining data is as easy as a click of the button, the reality remains that many of them have to be archived in document form and it’s not really possible to store as much as one would like to. 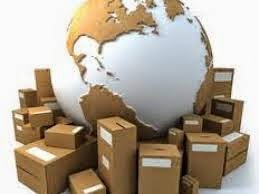 Storage units in Abu Dhabi understand the need of the situation and demand by these corporate offices and have started providing document storage and maintenance which is a blessing in disguise for these offices as they are at their wits end when it comes to finding the right way to store their important documents. Many of these storage units have professional teams which not only provide excellent infrastructure for storing files but also facilities for scanning important documents but also documents shredding, documents recycling and document compliances. The idea is to store your documents in these units which will secure your important data with vigilant 24 x 7 securities and logged CCTV camera surveillance so that you know if anyone unauthorized has tried to access your sensitive information. Another important aspect is that they also provide affordable document shredding facilities when you know you don’t need the documents but it is sensitive enough to get them destroyed elsewhere. A thorough secrecy is maintained so that none of your information is leaked out. This is an ideal facility for corporate offices who face the problem of storing their documents in one roof.